White Menagerie is a painting by Patricia Lang which was uploaded on June 12th, 2017. 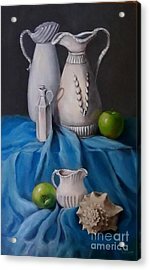 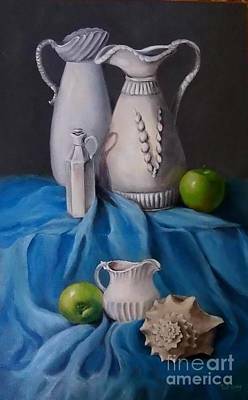 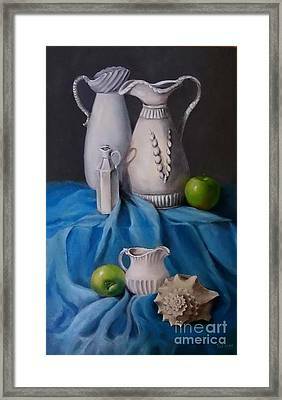 This is a painting of an arrangement of various degrees of white objects, and two green apples on a blue cloth. There are no comments for White Menagerie . Click here to post the first comment.